The third volume of the Church Fathers for lent, for the third week of lent. 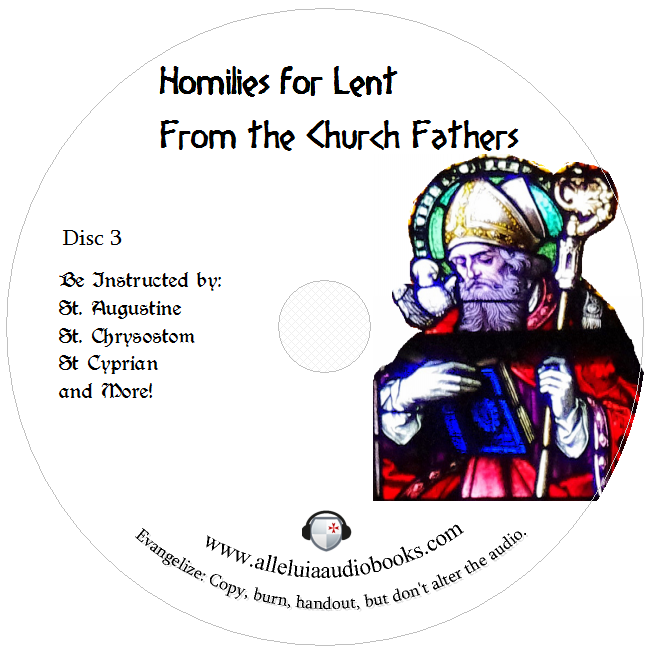 These homilies from lent by the Saints will be very helpful for preparing for Easter. Especially timely for today is a a homily by St. Pacian on the need for repentance before communion. There will be 46 Homilies total from Ash Wednesday all the Way to Holy Saturday. Be sure to signup for our mailing list so you can be notified when the next homilies are ready! Repentance before Communion by St. Pacian. Regulation of Virtues by St. Gregory the Great. The Pool of Bethesda by St. Augustine. Love and Obedience Better than Miracles by St. John Chrysostom. Meekness by St. John Chrysostom. All of these readings are from the Readings From the Fathers For Lent Selected From the Library of the Fathers published in 1852 are in the public domain.